For the easily distracted: another one of the first blogs i read and fell in love with. Rhiannes's posts are upbeat and inspiring filled with beautiful photographs. She also has a gorgeous etsy shop where you can buy her prints. Hydrangeas and white lillies: Cassie's blog is filled with gorgeous photos of scenery and lovely flowers. She also shares home decor ideas and the adventures her and her husband have. Red Boots: firstly Wendy comes from one of my favourite cities in the world, Edinburgh. So I am always delighted when she shares photos from her home city. Wendy shares her life adventures, her new home and has a wonderful segment were she shares bloggers letters to their 16 year old selves. Stationery Addicted: Jennifer is also a passionate snail mail lover. She shares her incomings and outgoings and other mail related posts as well as sharing a glimpse of her life in Italy. The Freelancers Fashion Blog: this girl has serious style, I swoon over her outfit posts and her hair and makeup is always immaculate. A great blog for a fashion fix, oh and she is a burlesque dancer too. The Madness of Mundanity: the first thing that I loved about Laura is that she works in a vintage camera shop, which just seems like such a romantic job. 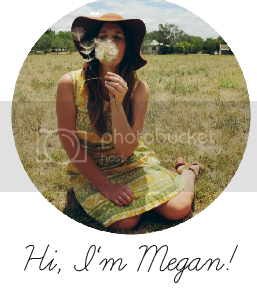 Her blog is upbeat and fun and shares the stories of her daily life. She is also attempting to fulfil her bucket list by the end of the year and which I got to be apart of. Thank you so much Megan for featuring me in your list and amongst such bigger blogs compared to my little corner of the blogging world! So pleased so enjoy reading my musings as much as I enjoy catching up with yours. Great blogs! Thanks for sharing! Thanks for sharing such awesome blogs with us! I, too, am a big fan of Rhianne and Wendy! I will definitely check out the rest of the list! i love that you do this. thanks so much for sharing! P.S. I received your lovely letter yesterday!! Thank you! Thanks so much lovely for mentioning my blog! You're such a sweetie!